Many clinical practice issues have been observed in case of Ysabel, who is a 33 year old woman diagnosed with Cholelithiasis. She was frequently visiting hospital due to her acute condition in which she suffered with vomiting and has examined by a medical officer. She was initially given Morphine 2.5mg so as to relieve her pain and consider the decreased use of the medications. While there were practical issues that were observed in her case while diagnosing with the disease. She was then referred to a team wherein there was a surgical team who diagnosed with the scheduled laparoscopic surgery. She was feeling nil while she waited for the surgery to take place in order to recover from the situation. There seems to have a analyze medical health overview of the surgical ward in which this postponed with the scheduled of the light diet and tea offered to her. Ysabel has been continuously waited for the surgery to take place in the major surgery that was been taken on Friday. It was observed that the surgery was postponed in the case due to some issues. A light diet was given to her for the surgery and then advised with urgency towards the complications. On Friday, the surgery was again delayed due to the situation and the medical condition was observed. Tom is Ysabel’s husband, who suffered as well as he was looking after their three children who need care in this critical condition. There was a miscommunication that was observed with Tom and his wife due to the condition as he called the hospital and wanted to talk to the nurse for the surgery that had to take place on Friday. Then on Saturday, Ysabel was taken to the surgery room in which Tom was told that he would be contacted, when taking Ysabel to the surgery room. While Ysabel texted her husband about the surgery when she was wheeled to surgery. On Saturday, surgery took place and this seems that there was again miscommunication among nurses and Tom in which the surgery had taken place but lack of information was given to Tom. Nurses have not been able to communicate with the patient’s family due to some or the other issues but these were very serious issues that were observed by the hospital nurses. Clinical practices, lack in the hospital management and the standards were not up to date due to the communication gap. The staff did not inform each other so as to have a word of communication and even doctors did not give complete information about the patient. MRI on Tuesday was to be done but due to lack of information about the radiology department, it did not take place and in evening the patient was informed that MRI would take place on next day. The test and the MRI reports were normal and patient was then advised to go home but again on Day 8 Ysabel was unwell and was again instructed to Tom to admit her to Emergency Department for reviewing the patient’s condition. The national health and safety standards were breached while giving lack information about the patient’s recovery and about the surgery delay. There are two issues that were observed in the hospital. First issue is about the patient’s care and hospitality. It is advised that doctors should be accurate with the department hospitality about the seriousness of patient’s health and care. This was not considered appropriately by the doctors as such it seems to be taken lightly in terms of delay of health care by nurses and doctors. The patient medication was then considered not within the medical instruction that became the imperative factor. The health of patient was very serious and the department did not pay attention towards the condition and not sure what can be done further. Previously, the patient was just diagnosed and send home untreated. This should be taken seriously as such the patient has undergone pain and felt dizzy in the acute condition. There are several factors that should be noted by the doctors in order to treat the patient (Australian Commission on Safety and Quality in Health Care, 2010). The second thing that became an issue was the miscommunication from the side of nurses and doctors. Lack of information given to the patient’s family becomes a problem. Not viewing the condition and simply taking light the condition was a shameful act which thus led to the clinical misconduct. While patient’s family wanted to know about the health of the patient, but nurses did not respond to the message which led to an issue (Li, 2015). The condition was not taken seriously and family had to face problems and tensions due to lack of information given by the doctors. Even after the surgery took place, Tom husband of the patient contacted nurses to ask about the condition and the surgery success. The nurses replied to talk to the doctor and have full information regarding the surgery. While this seems to be a major issue at this end in which the nurses and doctors both did not respond back at the same time and also did not give clear information about the condition of the patient. The surgery was successful as instructed but later the patient again suffered with the same condition on day 8. This was highly the case in which the investigation was not proper and the patient and her family had to suffer with this condition (National Blood Authority, 2011). Medline is a quality unit for the consumer health and information that encourages nurses and doctors to save and improve the life of a patient. There is a direct service that has been made for consumer health concern and the mission to have engaged with the disseminating the literature for making available to the standards of health and safety as depicted (Van Den Bos, et, al., 2011). The legislations have been strictly carried on with the view to have a collection of literature and services that are engaged with the hospital services. Quality of the service is been the core of health standards by MEDLINE. The service provided to the consumers should be authentic and should engage with the government programs that are to be conducted as per the links of health topics and other organizational purpose (HSE, 2015). 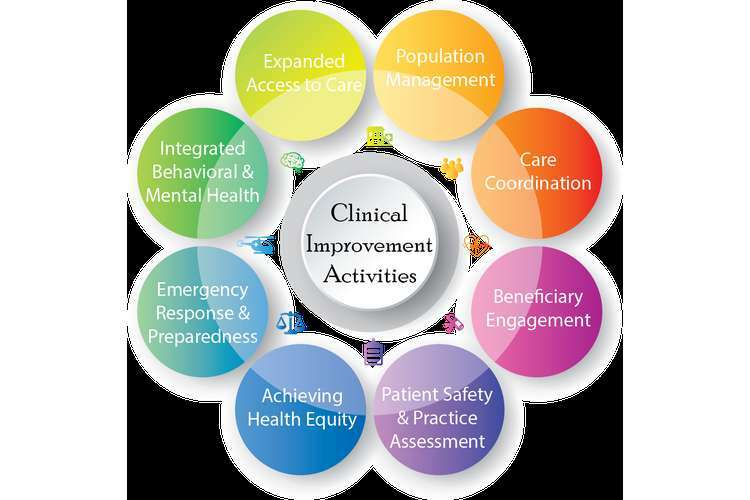 There is a great experience that has been maintained with the health topic as major construct standards for improvement (Australian Commission on Safety and Quality in Health Care, 2010). The publishing of the materials and features about giving quality service to the customers is to engage with the virtual impacts of the chapters. There are organizations that provide the overwhelming nature of the services and the varying of the services in terms of internet health information and addressing the quality care. The quality should be reliable and should be adequately mentioned to the patient about the care that they will be taken for in the service. The health information seekers need to know about the web sources. The criteria seem to be fruitful so as to engage with the quality service and up to date services given to the patient for the high service and information provider. The topics and the health pages are conducive towards the web format and the challenges are made with the organization so as to engage in the ethical practices and to present the accurate information system of the patient to his family. The four main criteria is been covered that includes quality, purpose of the site, maintenance and non redundant content. The quality for the content ensures the advisory about the government agencies and the services provided by the MEDLINE members so as to ensure the services are taken into consideration with the contact of the site. Also, the information which is been clearly given to the family and the patient about the health services they provide to the patient. The person centered approach with the quality support system, effective care and instant support to the patient is again one of the services in which the breach of misconduct can be drawn. Better health and then well being of the patients care with safe care and improvements in the deliverable is one of the standards which engages the leadership approach of the standards and safety care of patient (National Health & Medical Research Council, 2010). The medication safety standard is the standard approach given by MEDLINE which seems that the clinical leaders should be known with the health service organization so as to implement the system and the reduction of the medication health services. This will help in engaging and improving the health standards of the quality services and safety standards. There are clinicians that will tend to help improve the safety of the patient while managing the medicines and other intention of the standards that are set along so as to ensure the clinicians duty to improve the dispense of the services and help to inform the patient and family about the information. There are several criteria in which the medication safety standards are to be achieved with the governance so far to achieve the medication safety. While at the same time there are documentations that are maintained for the patient information that tend to accurately consider the record of the patient and engage with the history in terms of its availability and services in the history of patient care. There are medication management processes that are maintained along with the support of the clinical approaches and the prescribing of the medications with the manufacturing term and this tends to increase the services to the patient while taking in account for the change in the medicines as prescribed with proper care and service (Meterko, 2010). The medication management has been continuously studied with the health care standards to be achieved by receiving the standard care and patient recovery. Communication with patient is the main goal in terms of informing them about the agreed standards to be maintained and the management plan for the carers and nurses. Medicines are commonly used in the health care approach while these can be highly dangerous at times when they are misused or highly incidental activity takes place with the adverse condition in the health care intervention with costly and potential benefit medications (Duguid & Cruickshank, 2011).Proper communication is made in order to engage with the clinician and patient. There are technological impacts that ender with the support of both medical and patient information services. With the given standards by MEDLINE, the national Health and safety standards, the recommendations for the case in the ward level should be improved. The quality service given to the patient is the foremost safety and health standard that need to be focused by the health care unit (Boulding, et, al., 2011). Changes in the health care unit need to be advised as per the planning procedure. At the same time, the services for the communication in terms of medication should be handled effectively by the health care unit (Darç?n, 2015). Quality is the main concern and in this case, the health care unit did not provide quality service because patient has to wait for the surgery in the initial stage as such the patient and her family suffered due to delay of service in terms of surgery which is a big issue (Bernardo, Casadesus, Karapetrovic & Heras, 2010). The surgery was once done and was termed as a successful surgery; on the contrary there were the same issues that were observed on the 8th day in which the patient was serious and again instructed to admit in the hospital with an emergency condition. If there were quality services provided by the nurses and doctors, the condition would not have been acute at this place. Thereby to advice with the quality service is the main concern in the health care unit as per the health care and safety standards by an organization. The medication care is again the second standard that was been supported with the study as the medications provided to the patient was not up to the mark in the initial stage (Almeida, Domingues & Sampaio, 2014). The information and the communication have a gap that was not at all filled by the hospital management and the nurses. These were the high level serious issues because medication was not proper and the lack of information provided made a situation tensed in terms of family that suffered for this situation. 3. Almeida, J., Domingues, P., & Sampaio, P. (2014). Different perspectives on management systems integration.Total Quality Management & Business Excellence, 25(3-4), 338-351. 4. Bernardo, M., Casadesus, M., Karapetrovic, S., & Heras, I. (2010). An empirical study on the integration of management system audit.Journal of Cleaner Production, 18(5), 486-95. 5. Boulding W, Glickman S, Manary M, Schulman K, Staelin R. (2011). Relationship between patient satisfaction with inpatient care and hospital readmission within 30 days. The American Journal of Managed Care 2011;17(1):41-48. 6. Duguid M & Cruickshank M, (2011). Antimicrobial Stewardship in Australian Hospitals.Sydney: ACSHQC, 2011. 7. Darç?n, M. (2015). Relationship Between Working Condition Quality and Perceived Quality of Society.Soc Indic Res. 9. National Health & Medical Research Council. (2010) Australian Guidelines for the Prevention and Control of Infection in Healthcare.Canberra: NHMRC, 2010:260. 10. National Blood Authority. (2011). Patient Blood Transfusion Management Guidelines: Module 1.Canberra: Commonwealth of Australia, 2011:11. 12. Meterko M, Wright S, Lin H, Lowy E & Cleary PD. (2010). Mortality among patients with acute myocardial infarction: The influences of patient-centred care and evidence-based medicine. Health Services Research 2010;45(5p1):1188-1204. 13. Van Den Bos J, Rustagi K, Gray T, Halford M, Ziemkiewicz E & Shreve J. (2011). The $17.1 Billion Problem: The Annual Cost Of Measurable Medical Errors. Health Affairs 2011;30(4):596-603.